It’s World Wide Knit In Public Day (more like week) from TODAY through next weekend! Get out and knit! Here’s a website where you can go to find knit in public (KIP) events going on all over the world this week. There’s one at Six Paca Farm in Bozrah, CT I’d like to try to go to tomorrow, we’ll see how things go. Anybody have any special KIP plans? 2. Answer the 10 questions on your favourite things. 3. 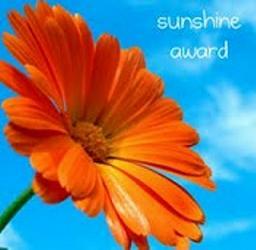 Nominate 10 blogs to receive the Sunshine Award and let them know they’ve been nominated. Favourite animal: Cats, horses, sheep. Favourite non-alcoholic drink: I’m boring: water. Facebook or Twitter: Can I please pick Ravelry? I have a facebook page and twitter, also. My passion:Yarn. Knitting. Talking about yarn and knitting. Making other people knit. Getting or giving: Giving… unless it’s yarn. Favourite Pattern: Whaaaat? How am I supposed to pick a favorite? I think one of my favorite finished projects is my Rock Island shawl, designed by Jared Flood. Favourite day of the week: Friday, I love the anticipation of the weekend. Favourite flower: I’ve always liked tulips and carnations and hydrangeas (I don’t seem to be doing well at just picking one thing!). Favourite country: I’ve yet to visit anywhere outside the US but I’ve got my sights set on Ireland someday. The Yarn Harlot — Canadian knitter and knitting humor writer extraordinaire who needs no more introduction than that! We Do Not Have A Knitting Problem — Carrie (Irishgirlieknits) is a designer of lovely socks and shawls and other accessories. Mason-Dixon Knitting — Kay and Anne write public knitting-related letters to each other… I really should get around to reading their books because I enjoy their blog. SouleMama — A mother of 5 living a sweet, handmade, homespun life in Maine. needled — Kate Davies blogs about her gorgeous designs and Scottish landscape inspiration. The White Noise of Ice — From her handspun yarns to wood turning to running goals, there is always something inspiring to read on Tracey’s blog. Violently Domestic — I adore Hunter’s designs so much, I look forward to reading tidbits about them here. Too Much Yarn — Christine and I have similar tastes for luxury yarns, though her stash is much larger and more enviable than mine! SoCalAmity — Though not really a knitting blog, Erica (who is a fellow knitter) writes amusing and poignant snapshots about her life. Dull Roar — Alex is a designer, works for Malabrigo Yarns, and has a fun and funky blog in which you can often find interesting inside tips about the yarn industry. Got any other must-read blogs I should be checking out? How about Twitter feeds? YAY! Knit in Public day was awesome! I went out with a friend and we had a great time, but I got very sun burned!